The Philips Lumea IPL System is a range of products that are changing the home hair removal industry and turning it on its head. Previously a technology only available in specialist spas, now you can get a home IPL hair removal system for affordable prices; the first step on your way to long term hair removal. 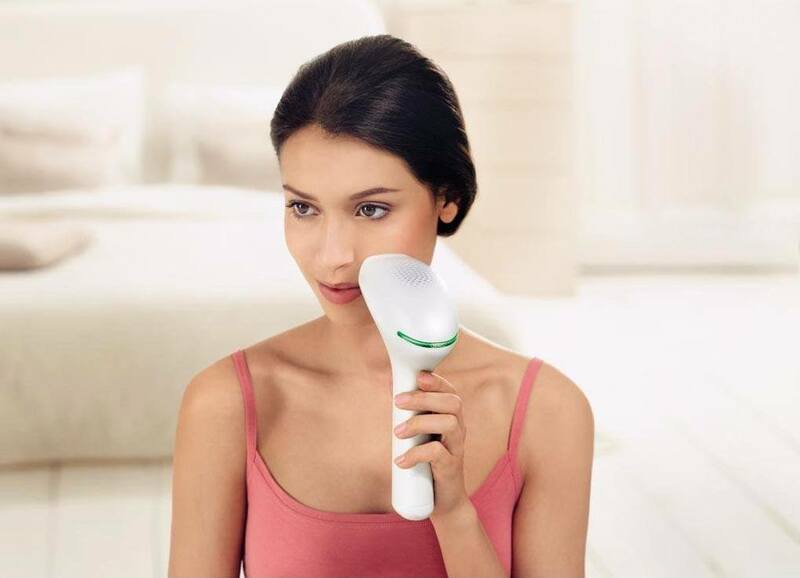 While there are other brands out there, Philips have really been leading the way on this and have created a whole range of Lumea products to suit various parts of the body with differences like cordless, facial, and more. How do I use the Philips Lumea? How often do I have to use the Philips Lumea? What do the Stamp and Flash, and Slide and Flash modes do? How long does Philips Lumea last? The most important thing to do before you even buy a Lumea system is to work out whether it’s going to be safe and effective for you. Due to the way it works (more on that below), IPL is only effective on certain skin colours and hair colours. Skin colours are fine across the spectrum except for dark brown and black skin, which can burn under IPL usage and those with very dark skin should avoid IPL altogether. Conversely, those with dark hair are well suited and it works all the way from black hair to dark blonde. Sadly, those with red, blonde or grey hair can’t use it – it simply won’t work. Okay so now you know your skin and hair colour will work with IPL, it’s time to get to business. Before using the Philips Lumea IPL systems for the first time, you’ll need to do some preparation. In fact, you’ll need to for the first few times which seems like a faff but keep your eyes on the prize, IPL is a long-term hair solution. 1. You’ll most likely need to charge the device first off which doesn’t take long as Philips have developed uber fast charge times for their products, which is awesome because we’re all busy people. 2. To prep the skin in the area you want to treat (let’s assume we’re talking about legs for now), you’ll first need to shave the area. 3. You’ll also need to decide which attachment to use, which is easy because there are specific attachments for each body part. For the body in general, i.e. legs, stomach and arms, there is the body attachment. This typically has a larger light window than the bikini and face attachments, so it can do large areas faster. It also has different UV filters because your body is less sensitive to UV than the thinner skin around your face. The attachments simply push into the light window and click into place. Just pull to remove. 1. Turn on the IPL using the power button on the handle and choose your intensity setting. This is very important because using an intensity setting too high for your skin/hair colour could result in skin damage. Using a setting too low will just be annoying and time consuming. Remember: You should never feel pain or discomfort when using IPL (that’s one of the best things about it!) so if you do, turn down your intensity setting. 2. To treat an area, hold the device at a 45° angle so that the light window is pressing against the skin. In order to work, all the touch-sensitive areas on the frame of the light window must be in contact with your skin. This is so you can’t accidentally flash the light while, say, pointing it directly into your eyes. 3. The ‘Ready to Use’ display on the back of the device will light up green when it senses that the window is in full contact with your skin and then you can press the trigger-like flash button and the device will emit a pulse of light to the skin you’ve pressed it onto. Ta da! 4. You’ll feel a warm sensation, that’s normal. If it hurts, turn down the intensity settings. 5. To continue treating, it’s best to work along your legs in a logical progression so you don’t treat exactly the same area twice. Lots of people use a white kohl pencil but normally you can just start at the top and work your way down. It’s not a problem if you miss a bit, you’ll catch it in the next session. 6. Once you’ve finished the treatment, wipe the screen with the cloth provided or another, soft microfiber cloth like a glasses cleaning cloth. This is essential because dirt on the window will impede the light and lesson the effectiveness of the device. Obviously the whole point of IPL is to save yourself a megaton of time, rather than being a slave to the razor or having to book waxing appointments when you could be doing, oh I don’t know, anything else. So how often should you use it? With the first 4 to 5 treatments, Philips recommends using it once a fortnight. This is because there’ll still be growth at the beginning and this will also ensure that you treat all the areas you want to and don’t miss any. This is the initial phase. After 4 or 5 treatments, you’ll notice significantly reduced hair growth and you can cut treatments right back to just once every one or two months, whenever you see regrowth really. This is the touch-up phase and varies widely for different people because we all have different hair types. From now on you won’t need to use it very often at all and will know when it’s time for another session. Now you can just sit back and enjoy smooth legs! These two modes are there to speed the job right up and are body area dependent. Stamp and Flash: This mode is for precision areas like underarms, bikini and face, where you’ll need to position the window with care. You put it in position and then press the flash button each time. Slide and Flash: This mode is for easy, fast treatments on straightforward areas such as legs and stomach. The flashes are emitted at set intervals, such as every two seconds, without you having to press the button. This means you can just slide it from one section to the next between flashes. The back of the device will show you each time a flash is emitted so you know when to slide. 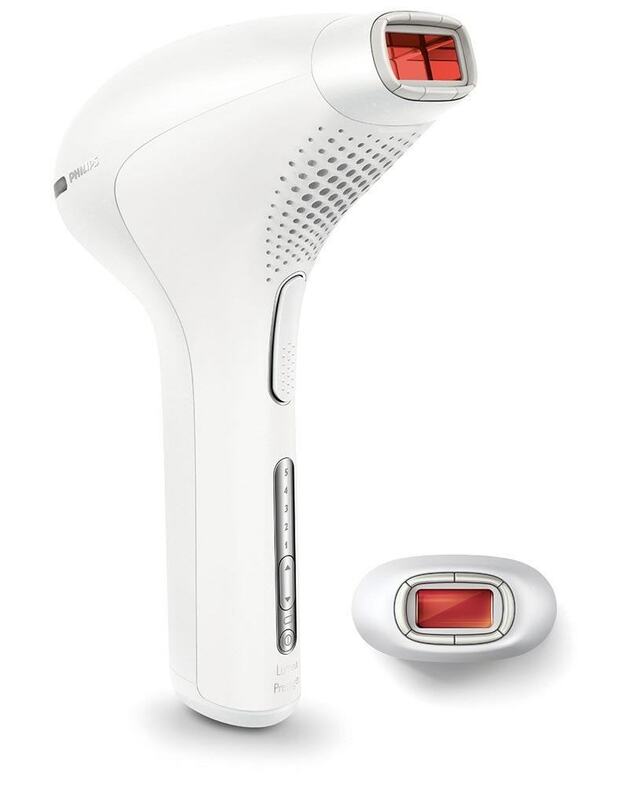 The Philips Lumea IPL system actually works on a very simple basis, the light that it emits travels to the root of each hair follicle and heats it to the point of destruction. It doesn’t target skin cells because they don’t have enough melanin and just concentrates in the hair. Because it works on melanin, you cannot use it on very dark skin as the melanin in the skin would burn as well. In order for it to work best, there needs to be a good contrast between the skin and hair, which is why those with light skin (hardly any melanin) but with dark hair (lots of melanin) are ideally suited. Thanks to the clever technology, lots of people can use the IPL systems safely and the darker your hair, the better it works. Philips Lu﻿mea IPL system﻿s aren’t the cheapest thing known to man but that’s fine, because they last forever. I mean, basically, you never, ever need to replace them. So they’re really a bargain from a time and money point of view. The typical Philips Lumea IPL systems lasts for 250,000 flashes….which is…y’know…years and years and years.